Ready to get grants to fund your programs and projects, and even overhead and salaries? This Jumpstart shows you how! 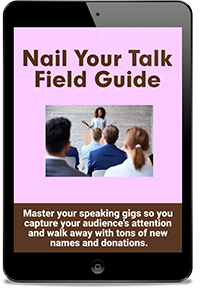 Full of practical, real-world tips and examples, it’s a complete do-it-yourself kit for getting started raising big bucks with grants. Most folks want to go after grants, and everyone should. But if you don’t know where to start, it can be daunting. In this training bundle, you’ll get everything you need to get up and running fast with grants, finding the best grant opportunities, filling your pipeline with proposals, and funding your life-changing programs. 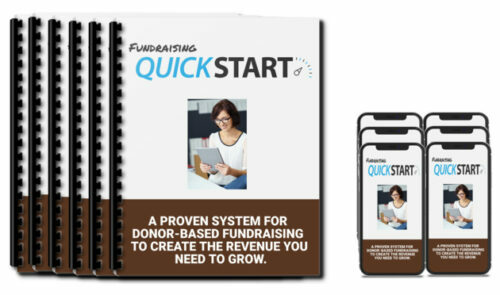 Need a proven, step-by-step approach to finding and securing grant money for your nonprofit? 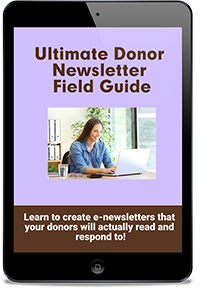 Learn the 5 things you need to know about every potential funder, how to craft your case, what to include in each of the 4 main parts of a grant proposal, and more! 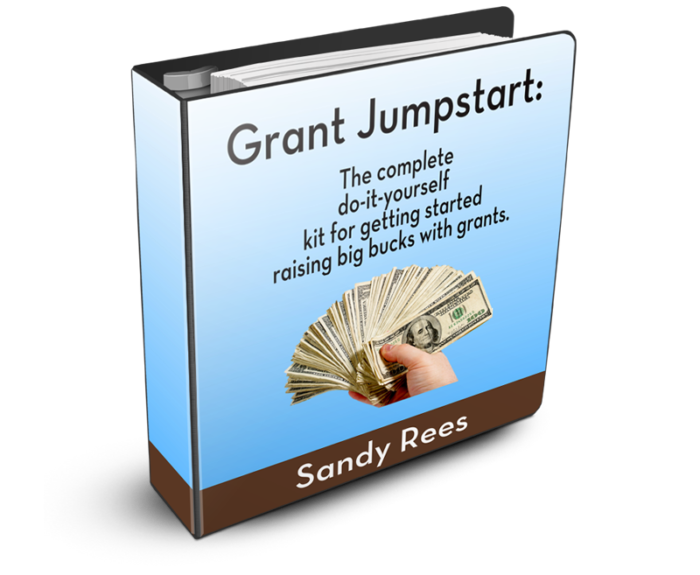 It’s power-packed with worksheets, templates, checklists, and samples to make grant writing easy! Become a better grant writer to unlock the results you want—increased confidence, reduced stress, and an unlimited source of money for your nonprofit! 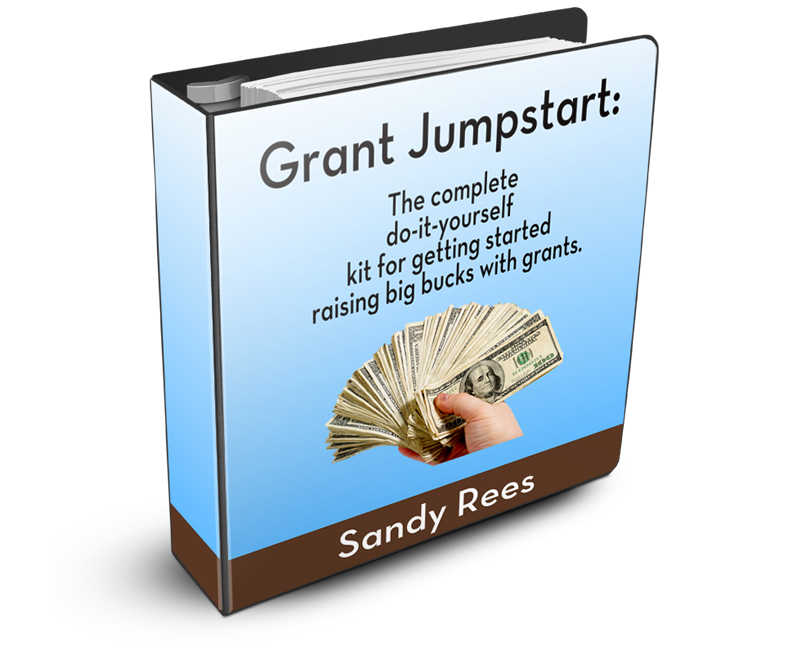 Would you like to get big juicy grants to fund your programs but don’t know where to start? Or maybe you’ve done some research, but come up empty handed? You can’t get grants if you can’t find them. And you certainly don’t want to waste a lot of time looking in the wrong place or barking up the wrong tree. If you’re ready to jump into grant writing, and want to get up to speed fast, raising the most money for your nonprofit while avoiding common mistakes, this webinar is for you. If you’ve tried writing grants and gotten frustrated because you’re just not getting the results you want, don’t worry – there are reasons why it’s happening and it’s all fixable. In this webinar, we’ll show you the exact things you need to pay attention to so you can bring in significantly more money from grants. 1. Insider Tips to Getting Grants with Mandy Pearce – Listen in as I talk with grant expert Mandy Pearce to get her insider tips for getting grants in this 1 hour audio recording. 2. How to Win Grants with Betsy Baker – Grant expert Betsy Baker gives us her top advice for winning grants in this 1-hour interview.